A member of Rhythm of Borneo playing traditional instrument. 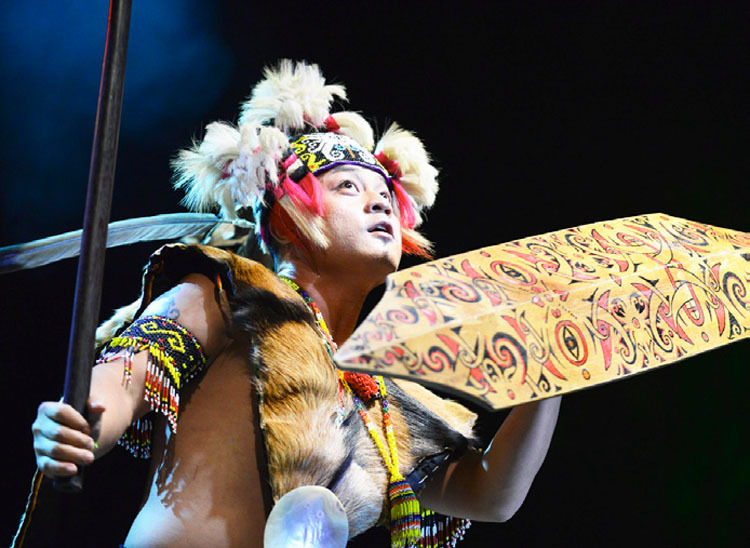 The Rainforest World Music Festival (RWMF) has successfully installed its 15th year of musical excellence at its traditional venue, Sarawak Cultural Village, Kuching. 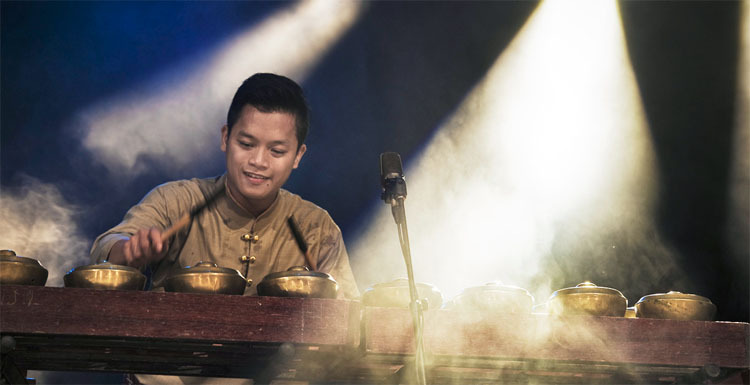 This year, RWMF has brought 16 bands of musicians from all over the world to perform and graced the stately Mount Santubong.RWMF 2012 has again been listed as one of the top 25 The Best International Festivals in the world by Songlines magazine, marking its third time. This is indeed an honour and a huge recognition to the whole team of Sarawak Tourism Board as well as the RWMF committee members, who have made this worldly celebrated music festival greater every year. The performers were invited from all over the world, including from Malaysia to glorify the exquisiteness sounds of the world music. World music enthusiasts were given the chance to get intimate with the performers and their music during the workshops, where the performers shared their inspirations and the story of their music. Some of the audience were lucky enough to get the chance to tune some of the instruments and guided by the musicians themselves. Zee Avi performed with her props. 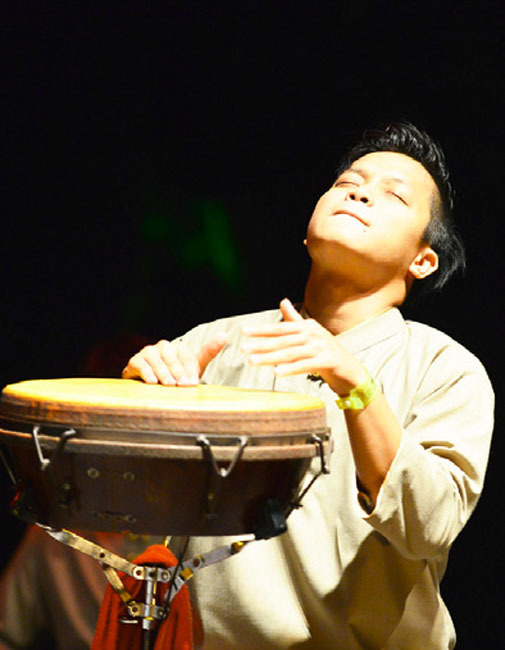 Among the performers this year include Khusugtun (Mongolia), Zee Avi, Rhythm of Borneo, The Music of Sarawak, Samuel Dass & Prakash and Diplomats of Drum (Malaysia), Danyel Waro (Reunion Island), Cankisou (Czech Republic), Kanda Bongo Man (Congo), String Sisters (Scotland, Norway, Sweden, Ireland and USA), Oreka TX (Spain), La Zikabilo (France), Raiz De Cafezal (Brazilian Amazonian Indians), Mamadou Diabate (Mali/Burkina Faso), Le Trio Joubran (Palestine) and special appearance by Hata, the collaboration between musicians from Malaysia, Korea, Turkey and Taiwan. Compared to previous years, the crowds this year were less celebrative, as most of them were more into understanding and appreciating the music and message conveyed by the musicians. Oreka TX for instance, came up with a video presentation on how they have travelled to find different materials to make the traditional instrument called ‘Txalaparta’ to express the different sounds it can produce. Khusugtun from Mongolia stood out among the rest by making their appearance in the traditional Mongolian attire. They also had a narrator to explain the message of the sounds and why they were created. Zee Avi, a Sarawak-born Youtube ‘graduate’ also performed some of her hits from her two albums, Zee Avi and Ghostbird. 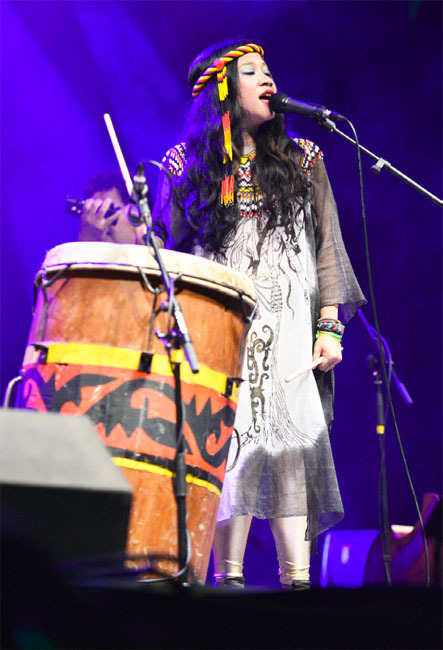 Apart from her, Diplomat of Drums, Samuel Dass and Prakash and Rhythm of Borneo also rocked the stage of RWMF 2012 with their own art of percussion and string-tuning. 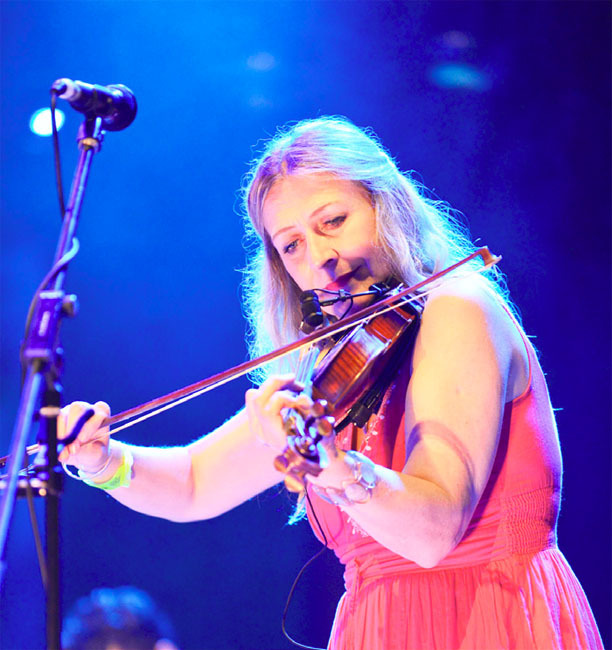 The distinctive elements that the bands manifested made the festival even more meaningful. the culture and customs of the respective ethnic groups. The colourful costumes and decorations at the houses were one of the elements that made the festival site lively during the day. As the night falls, the stage area was fully occupied by thousands of people who wished to embrace the serenade from the performers. After 15 years of celebrating the world music, RWMF will come again in 2013 for people to unite again for their love for music. 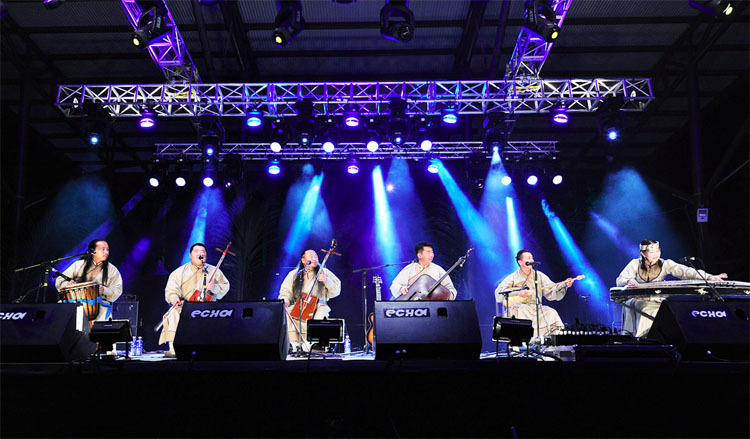 See you at the Rainforest World Music Festival 2013!